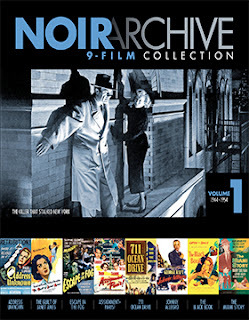 Kit Parker Films, with sales and distribution support provided by MVD Entertainment Group, has not one or two — or even a half-dozen — but nine classic film noir films on Blu-ray this coming Apr. 9. In what promises to be a series of collections on Blu-ray, Apr. 9 brings collectors the first in the series, Noir Archive Volume 1: 1944-1954. Making the journey for the first time to Blu-ray are film selections from the vaults of Columbia Pictures. 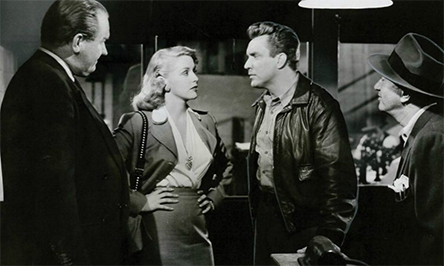 Kicking off the proceedings is director William Cameron Menzies’ 1944 film noir release of Address Unknown, starring Paul Lukas as an art dealer who succumbs to the siren song of the Nazis and betrays his friends and family in the process. The following year, 1945, brings us director Budd Boetticher’s Escape in the Fog, featuring Nina Foch, Otto Kruger and William Wright. The little seen 1947 film release of The Guilt of Janet Ames is the next up in the series chronologically … direction is by Henry Levin and the film stars Rosalind Russell, Melvyn Douglas, Nina Foch and Sid Caesar. This is followed by two entries from 1949 — director Anthony Mann’s The Black Book (aka: The Reign of Terror) and Johnny Allegro, direction by Ted Tetzlaff with a cast that includes George Raft, Nina Foch and George Macready. 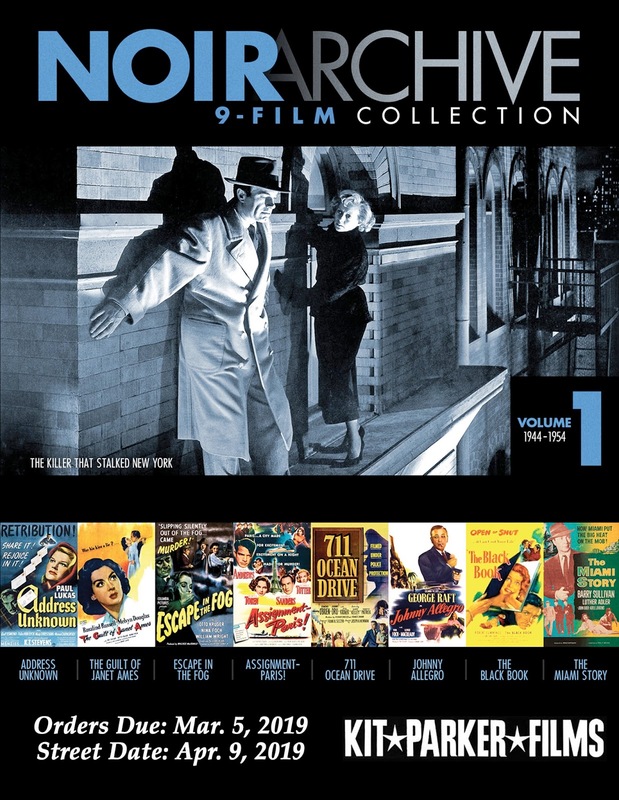 Rounding out this stunning nine-film film noir collection are 711 Ocean Drive (1950), directed by Joseph M. Newman and starring Edmond O'Brien, Joanne Dru and Otto Kruger; The Killer That Stalked New York (also 1950), Earl McEvoy served as the director and the film starred Evelyn Keyes, Charles Korvin and William Bishop; director Earl McEvoy’s 1952 release of Assignment Paris — featuring Dana Andrews, George Sanders and Marta Toren — and finally, the 1954 film noir, The Miami Story, starring Barry Sullivan, Luther Adler and John Baer with directing honors going to Fred F. Sears.